New Delhi: Improved earnings outlook is likely for Indian and South-East Asian Airlines in 2016, Fitch Ratings today said while projecting that stiff competition and a huge order book for new aircraft could make it difficult to improve profitability for the sector. 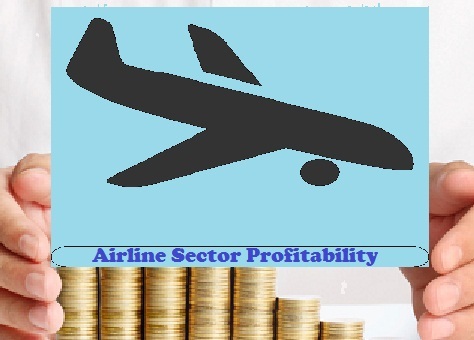 As the passenger load factors (PLF) in India and south-east Asia have risen steadily, with the average PLF across seven major airlines based in the region hitting multi-year highs above 80% in 3Q15, Fitch Ratings today said that the earnings outlook for Indian and south-east Asian airline sectors should improve in 2016. The positive earnings outlook for Indian an Soth-East Asian airlines, according to Fitch, would improve this coming year due to higher demand, lower fuel costs and ongoing industry restructuring. Macroeconomic growth should help bolster demand and top-line growth for the region’s airlines, and data so far in 2015 is already showing strong demand growth, Fitch points out adding the continued decline in global oil prices will also provide a much-needed boost to airline earnings, with Brent crude falling further so far in 4Q15. Industry consolidation and restructuring should also result in improved profitability. Fitch Ratings also says that the the operating environment will be challenging especially due to strong competition and capacity expansion. On the flip side, Fitch says: Aggressive competition and capacity expansion remain key risks for the sector over the longer term. Capacity growth in south-east Asia and India has slowed in 2015 as airlines focused on profitability, but a huge order book for new aircraft remains, which could make it difficult to improve profitability for the sector.